In the truest sense of the word, Stanley Clarke is a legend. For over 50 years, Clarke has worked to master both the acoustic and electric bass. Coming to prominence with Chick Corea in Return to Forever, Clarke helped make jazz fusion one of the biggest musical genres of the 1970's. Clarke's also played alongside hundreds of musicians including Keith Richards and Ronnie Wood in The New Barbarians, Bela Fleck in Trio! and Stewart Copeland in Animal Logic. This does not to mention appearances on records from J.D Souther, Quincy Jones, Chaka Khan and Aretha Franklin. Clarke follows up his last proper studio album, Grammy award-winning The Stanley Clarke Band, with The Message, and one of the musicians from the band. Cameron Graves, joined us on this conversation. There's a lot to talk about. I hope enjoy it. 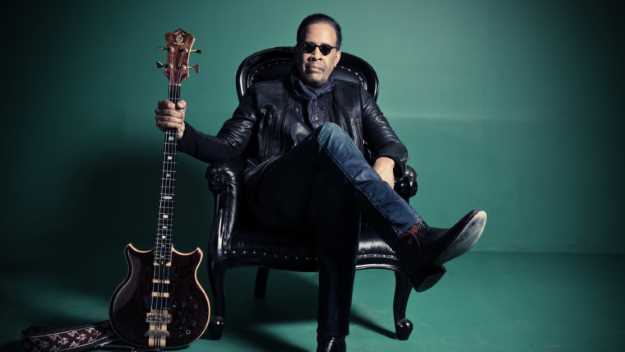 Let's get started with the first track on the album, "And You Knew We're Missing You" from the Stanley Clarke Band on the World Cafe. Listen in the player.